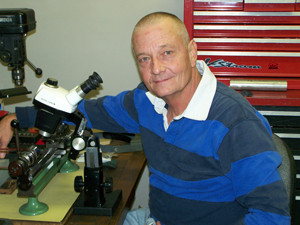 The Instrument Shoppe has been in operation since 1982 supporting directional drilling and surveying businesses. Initially, the shop worked with Delno Duncan, production manger at Eastman Whipstock. We expanded our company by representing Humphrey, Inc. and Remec in both sales and services for over 20 years. Furthermore, our company assisted Goodrich Engineers in improving the design of the Humphrey gyro, making it the most reliable in the industry. Based out of South Louisiana for 24 years, we recently moved the shop to Houston, Texas to better serve our customers. During the course of these years, the shop has designed and repaired all types of single shot, multiple shot, gyro and heat shield equipment. These include DG-29 and DG-69 Photographic gyros and SRG systems and gyros.